Lisa Buie-Collard - Author : IWSG First Wednesday! Hello all, blog hopping is in full swing today with our own Ninja Captain in charge and his co-hosts who always help lighten his load. 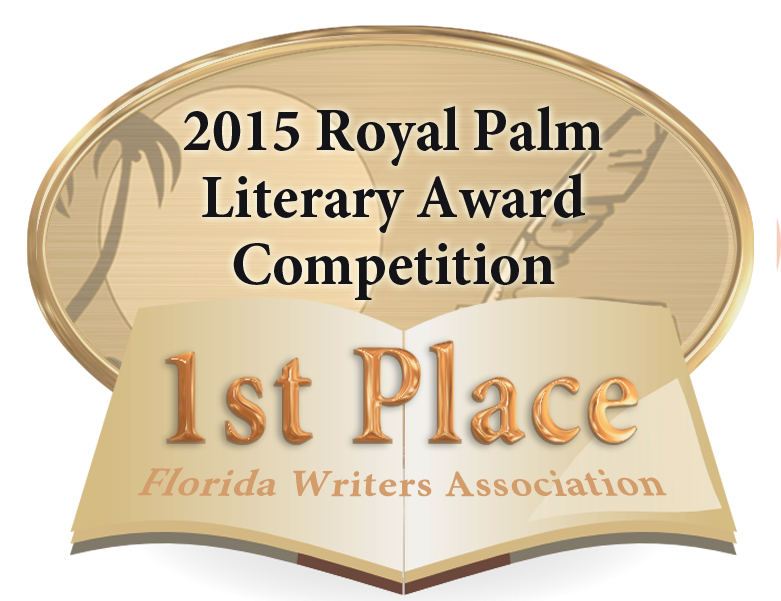 This month's co-hosts are LG Keltner, Donna Hole, me and SL Hennessy! 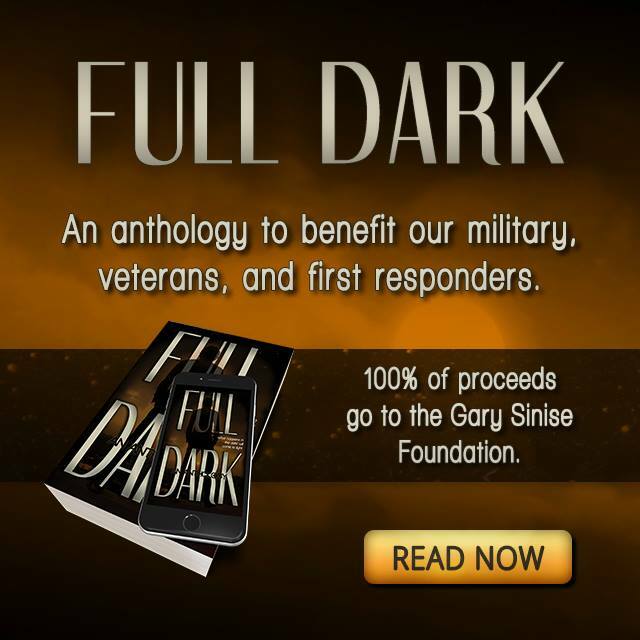 Please visit their blogs and the others participating. I hope you find something that helps you in your time of need or gives you something to cheer about. Okay, this year November is all about nerves. Yes, I’m putting together a marketing strategy, something I’ve never done before, and, there is entirely TMI (too much information) out there on the Internet to slog through to see what is real and who is just trying to scam me, poor schlep that I am in this game. And just to make matters more nervy, I’m participating in NaNoWriMo again!!! On that front I'm very happy, even though I’m nervous about making my deadlines throughout the month. I am also happy, though nervous, that I’ve taken on extra blogging duties for the next year. I’m really looking forward to it (a challenge of the greatest fun! ), but jittery about getting everything done that needs to be done (I don’t know what my “duties” are yet) and being there for others who are counting on me. So, I guess this means I’m going to make a schedule for myself and stick to it. I know of no other way to “keep calm and succeed” in all I mean to do. Okay, I’m done whining. Thank you for “listening” to me and for visiting. I’m not so great at responding to comments, but if you’ll please leave one, I’ll come by your blog and leave a comment for you! 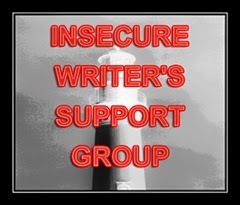 Thank you for taking time out of your busy schedule to host the November IWSG. I'm exhausted just reading about what you plan to do in the next year. 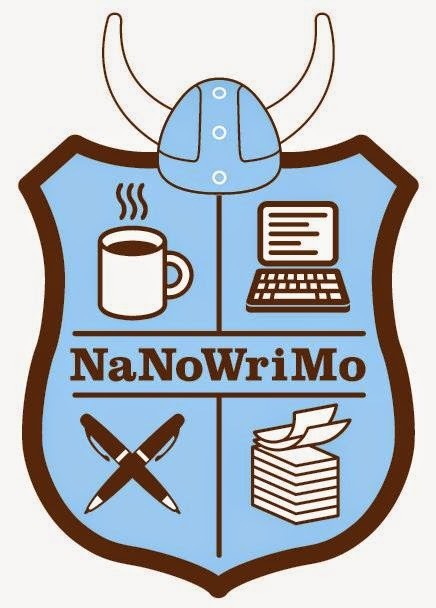 I signed up for NaNoWriMo again, too. It is addicting. I agree TMI on the info and you have to be selective, because some is just repetitive, or not very helpful. Good luck on the routine. I signed up for NaNo, but have not written a word yet, except world build and character build. I am struggling with inspiration for some reason. It is not that I do not love my story, but am caught somehow in emotional ambiguity about everything lately. Working to push myself out of it and just write. Best of Luck. New blogging duties and NaNoWriMo will keep you pretty busy. Here's to a busy and fulfilling month to you! Cheers! I know you can do it. And thanks for co-hosting! I dislike marketing, but nowadays it must be done. I wish you luck. Setting goals and making a schedule is a good thing. Good Luck! Yeah, I just can't do NaNoWriMo - way too much pressure there, but for those who can seize the moment, I have nothing but admiration. You have taken on a lot! (Welcome to my world.) But we'll both manage. The marketing monkey always is hanging on our backs, isn't it? That's a tough one but scheduling can really help. And that's my weakness, scheduling (unless it's fly fishing, then yes, I'm all over it!) Congrats on taking on NaNo and the new challenges. Tough to do when there's lots on the horizon. You'll get it all in place and rock it, I'm sure. Thanks for the co-host this month. Can't do NaNo this year - hip deep in edits / ending rewrite of my novel releasing in Jan. Also have one coming out in Feb. AND I've got 3 little ones who don't allow much 'me' time. I feel your pain. Marketing is tough, but being willing to try new things can help. Good luck with NaNo! I always find that writing lists helps - eventually the thing you really don't want to do either ends up as the only thing left, so you have to face it or becomes unnecessary if you leave it long enough! I hope you find a schedule and a rhythm that keeps you motivated, and not overwhelmed. Thanks for co-hosting IWSG this month! I don't blame you for being nervous. That's a lot to take on, but hopefully getting everything on a schedule will keep things running smoothly. I know if I don't have a schedule, I'm lost and nothing gets done. Good luck with it all and thanks for co-hosting IWSG! The idea of putting together a marketing plan even gives me the chills. Good luck with it and Nanoing and everything else! I'm trying to figure out a schedule too. It can be difficult to do. Especially for someone like me who went from being too rigid to too fly by the seat of my pants. I'm confident we'll both find the right balance. Sounds like your writing hands are full! We will get you through it! The idea of marketing is so much scarier to me than the publishing part. Good luck! Thanks for co-hosting! Hi Lisa! Thank you for co-hosting the IWSG this month! I, too, am struggling with finding a schedule and a rhythm. Things are always happening to trash both. I'm wishing you luck as you look for balance in handling your responsibilities. Doesn't sound much like whining to me. You're happy. That sounds pretty wonderful to these ears. The momentum will return, don't you worry. I've learned the hard way that so many marketing 'helpers' are more interested in your cash than spearheading your book's sales programs. I've read a lot about marketing but most of it hasn't sunk in. What I really need is to sit beside someone who helps me plot out a strategy and instructs me on the mechanics of it all. I'm wishing you great success and look forward to hearing about your experiences. I find putting a schedule forth definitely helps. Good luck with NaNoWriMo. I have never been brave enough to take it on! Hi from a fellow co-host. You sound busy, busy, busy! Good luck with everything and keep up the hard work! Your nerves are understandable as that's a lot to fit in. Organisation and the schedule will see you through though, so enjoy the challenges. Good luck with NaNo. NaNo taught me that I change my plot lines too much during writing to get anything finished in a month. No matter how much I plot things out beforehand, as soon as I begin writing, the outline totally changes. First, thanks so much for co-hosting this month. We all appreciate that you're taking time out of your already hectic schedule to be here for us. We're going to get through NaNo together; I'm going on the site later today to double check how the friending works. I know a few people buddied me, but I'm still confused. I'll look for you once I figure it out. November seems to inspire more than just novel writing in authors. Good luck with all your duties. Good luck! Sounds like you have a full plate but are up to the challenge! Good luck with NaNo and all of your other commitments! Have fun with NaNo. Schedules help me keep better organized because I'm really bad at that. Very nice to meet you. Thanks for posting on my blog. Best wishes with your new endeavors! You'll get there. Thank you for hosting IWSG! A marketing plan? We're supposed to make marketing plans? LOL Good luck with that and with NaNo. Thanks for hosting this month. Thank you for co-hosting this month and for visiting my blog. Good luck with NaNo! It's a huge challenge, but I have no doubt that you'll achieve all your goals for November. NaNo and marketing, you're ambitious! Good luck with NaNo! Thanks for co-hosting. Having a schedule and sticking to it is important. That's half the battle won. Seems like a lot of people are in marketing mode right now. I wish you the best with it. I just finished a 31 day challenge and while I'll be rooting everyone on, I will not be participating in Nano. I hope you find some enjoyingment with whatever your new blogging duties are, even when they get a bit overwhelming. Thank for co-hosting this month. Best of luck! You'll make it! Sounds like you're very busy! GL with your blogging! At least you're a happy nervous, right? That's better than a terrified nervous, or a sad nervous. Best of luck with everything! You can now relax. Your wait for my comment is over! :) Yep, it took me until gone two in the morning, but I'm here. A marketing strategy sounds encouraging. Penny the Jack Russell dog, acclaimed "pawblisher" and jolly good little animal, is most pleased to know this. Have a lovely weekend, dear Lisa. Stretching yourself is a good idea. It leads to growth. Good luck with NaNo. I've never participated. The thought of writing 1.700 words every day is still a bit daunting for a slow writer like myself. But that may be subject to change...one day...who knows? 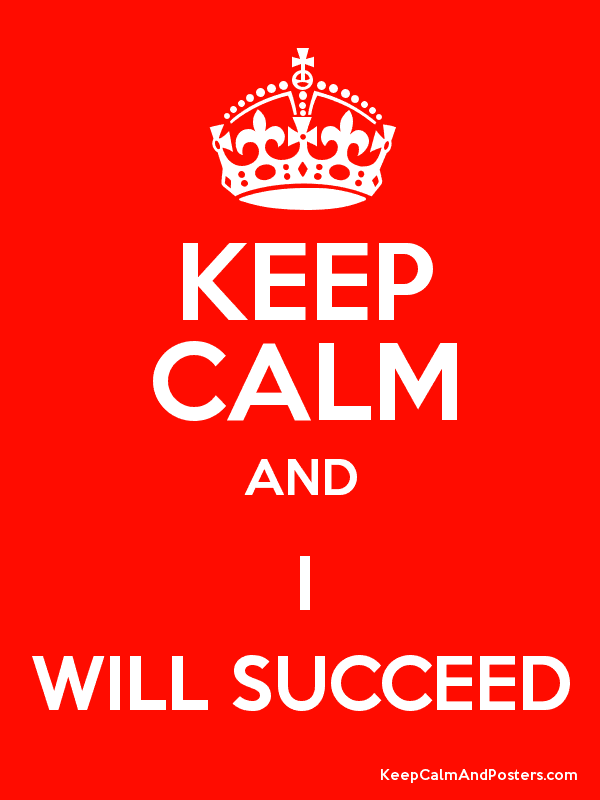 Definitely love the Keep Calm and Succeed motto!!! WOW on your commitments.Hoping it doesn't get too overwhelming for you. I have several goals on hold for the moment because of a family matter. Best with NaNo. Slay it! If I can be of any use to you about marketing, shoot me an email. Hi Lisa! 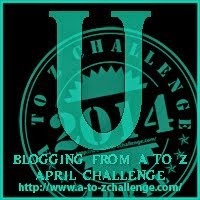 Just wanted to pop in and say how excited I am to be co-hosting the A to Z Challenge together with you next year. I'm enjoying NaNo and looking forward to making my word count. Also looking forward to working with you on the A-Z team. Just popping in here to wish you best of luck with the challenges esp the A-Z, read about it on the A-Z blog. Keep calm and succeed seems a good way to go. My NaNo is limping along.